As digital platforms in all organisations become ubiquitous, IT departments in education are also being forced to reinvent themselves. School IT teams work in fast paced environments. Team members are required to manage many unique educational factors: highly structured and timetabled days, clients/students moving into new groups (year levels) every year and significant intakes of new clients/students each January. Inevitably they need to manage the changing family structures over the thirteen year period a client/student attends the school. How many organisations must manage the online safety and cyber security of children aged three to eighteen years old? Sitting behind all these operational requirements is their role in meeting the School’s strategic vision and values. A transformative IT leader in Education needs to continually be driving business success and leveraging technology to support new learning pedagogies, implementing the science of learning and ensuring innovation across the environment. They should also provide thought leadership and advice to the Executive by understanding external developments, innovations and new trends ensuring the organisation is aware and responsive to new developments. Learning and teaching are changing enormously as schools begin to move away from the industrial classroom model and instead transition the role of teacher to coach. In this environment, the learning is personalised and students have full choice in the hardware and software they use. Schools are now relinquishing the old industrial model of schooling. Scrapping timetables, moving to models of customisation, and introducing online or blended learning that all help to give students full control of their learning. Schools look at the old model of a school day being 8.30am-3.30pm and know that, in reality, they have students onsite anytime from 6.00am to 6.00pm, so why not let them shape their own day within that time frame? Throwing money at schools for technology programs that don’t also include funds to support teacher training or the replacement cost of the items on a three to four year cycle is a complete waste. An OECD report in 2015 warned that an investment in computers and iPads in schools does not improve numeracy and literacy skills. How much of this is because our teachers aren’t receiving the basic technology skills before they graduate and instead schools are then responsible for the training of their staff on how to embed technology into their everyday practice? Many schools quite simply cannot afford this investment. Almost all of our customers have a device and devices come and go, but one could ask why schools insist on prescribing particular platforms and models? Is this actually about licensing deals and budgets, or is it about ensuring the school has complete control of the whole environment, including the technology within it? The Bring Your Own Technology (BYOT) model is a transformative shift that allows students to bring to school any device of their choosing. The BYOT model empowers the customer/student, underpins the personalisation of teaching, teaches students to take on the responsibilities associated with personal ownership of a device, ensures students possess technological literacy and it also broadens our teachers’ awareness of the wide range of learning tools available and develops their skills and understanding of the different platforms, their capabilities and limitations. It seems that “customer centricity”, is currently a buzz term being bandied about as though it was something never considered before and certainly in some industries, including education the notion of who is the “customer” has shifted. It comes as a surprise to many that in education the customer is the student, and they have become the anchor point for every decision we make. Some argue, quite logically, that the parents should be the customer as they pay the school fees, however the parents often expect their children to receive “schooling” as they remember it, and this does a great disservice to students and their preparation for a highly complex and rapidly evolving world. The best educators are talking to industry and higher education institutions and asking what skills they expect from their graduates, and one thing we know for sure, is that they are looking for self-directed learners who are agile and prepared for lifelong learning. The one problem we all face is the gender gap within our IT teams. When you work in an environment where the clients are 100% female, and your IT team is 100% male, this becomes an issue. 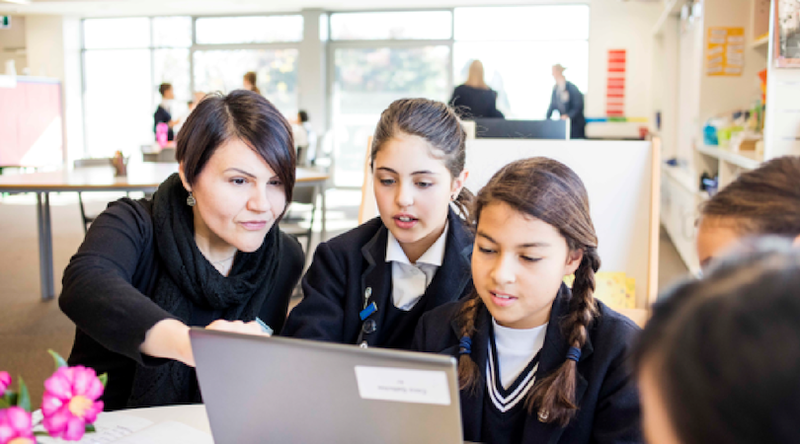 In the near future, our young women who have benefitted from the current focus on STEM in the Australian education system will bring in a vastly different skill set to the current IT requirements. A move to a more customer centric service orientation is paramount and is the only way that IT teams can confidently service the needs of any organisation. However, this isn’t just a gender issue but one of diversity. A 2015 McKinsey report found that companies in the top quartile for ethnic, racial and gender diversity were also more likely to have financial returns above their industry mean. We also know that non-homogenous teams work smarter. Working with people who challenge you can provide more scope for innovation and can assist in breaking down potential biases. So as CIO’s, CTO or CDO’s, we can all help contribute to building environments where girls are encouraged to contribute equally, but we need to invest now in the programs and the digital environments that will support them and act as enablers.